The Chhattisgarh Professional Examination Board, Raipur will issue the CG Vyapam Staff Nurse Admit Card on 22nd January 2018. The organization has released the recruitment notification of 1038 vacancies for the Staff Nurse position. Aspirants can download the admit card from below download link at the end of this article. The additional information belongs to CG Vyapam Staff Nurse Admit Card 2018 are given below. To download the CG Vyapam Staff Nurse Admit Card the contenders who will apply only eligible to take the admit card or hall ticket. For the Staff Nurse position, the online application process has started on 15th December 2017 and the close date of the application process is on 8th January 2018. The admit card will be in available after the application process. For downloading the CG Vyapam Staff Nurse Admit Card aspirants have to use the credential details like application number and date of birth etc. Without using these details it is impossible to download the admit card so candidates must carry the details to download. The CG Vyapam Staff Nurse examination will be conducted on 28th January 2018. After the examination process, the result will update soon on our website. For more details about the recruitment process visit the organization website. The management will upload the CG Vyapam Staff Nurse Admit Card on the organization website. We will activate the download link when the organization release the admit card. We advise the contenders to download the admit card or hall ticket before 1 week to the exam. After the download action of the CG Vyapam Staff Nurse Hall Ticket aspirants need to verify the information on it. If there are any errors found on the admit card or call letter then immediately inform the examination board and rectify the mistakes. The contenders have to reach the examination center before 20 minutes to the exam and look at the instructions given on the admit card. The candidates will be selected through the written examination process. The examination result also check in Sarkari Result. Check the official notification for more selection process. Admit card or Hall ticket plays a vital role in any examination process like the board or competitive. The examination board will not allow the aspirants to write the exam because it has the details about the participant and exam-like contender name, number, category, exam date and time, exam address etc. With the identity proof like voter id, photograph etc including with the admit card or hall ticket to the examination center for the security purposes. The candidates must attend the examination center on time otherwise aspirants will not permit to the examination hall. The more details like CG Vyapam Staff Nurse exam information on admit card, essential documents for the exam, and steps to download the admit card are provided in this article. Open the official website of Chhattisgarh Professional Examination Board, Raipur i.e., www.cgvyapam.choice.gov.in. Search for the CG Vyapam Staff Nurse Admit Card for Staff Nurse position. Click on the CG Vyapam Staff Nurse Admit Card link. Enter the required data like username and password. CG Vyapam Staff Nurse Admit Card will be shown on the screen. 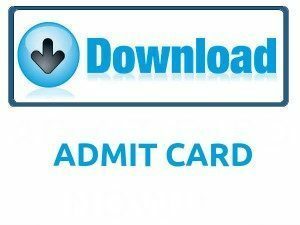 Download the CG Vyapam Staff Nurse Admit Card. Submit CG Vyapam Staff Nurse Admit Card at the examination center with an identity issued by the government. We hope the above article about CG Vyapam Staff Nurse Admit Card will helpful for the candidates who will apply for the Staff Nurse position exam. If aspirants have any questions on this page can also leave a comment on below comment box. Follow our website SarkariRecruitment.com for more updates on Recruitment, Syllabus, Previous Papers etc. Thank you.